The Rome-born Fiorella Mannoia made her singing debut at the age of 14 at Italy’s Castrocaro Festival of New Voices and New Faces, immediately landing her first recording contract. The young Mannoia honed her vocal skills via appearances in the country’s noted song contests such as Festivalbar and Un disco per l’estate, eventually competing in the legendary Sanremo Festival of Italian Song, an event which would become synonymous with the trajectory of the singer’s prodigious career. 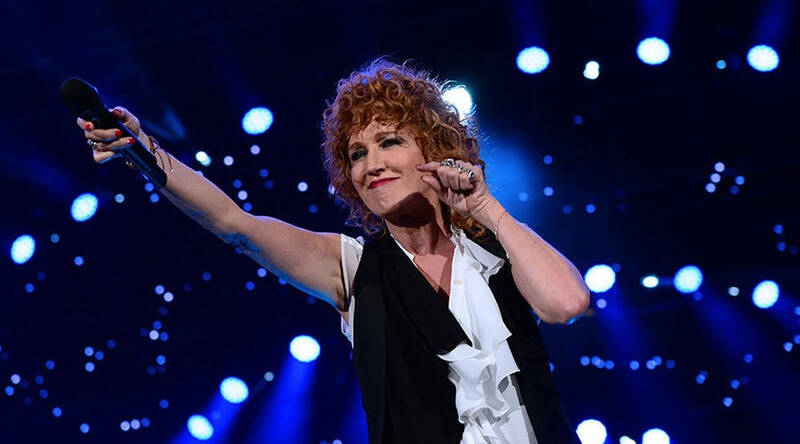 Back to back wins of Sanremo's Critics Prize in 1987 and 1988 cemented Firoella Mannoia’s reputation as the female interpreter in whom Italy’s legendary cantautori would entrust their works including Ivano Fossati, Ron,Riccardo Cocciante and Francesco De Gregori. From this position Mannoia would go on to champion her country’s next generation of songwriters such as Samuele Bersani, Daniele Silvestri and Gianmaria Testa. In 2000, Fiorella Mannoia was invited to the 50th anniversary edition of the Sanremo Festival as "Super Host”. A 1989 Italian-language version of Chico Buarque’s "O Que Será” marked the beginning of FiorellaMannoia’s relationship with Brazil and its musicians. Among the legends Mannoia would go on to record with are Caetano Veloso, Gilberto Gil, Milton Nacimento and modern masters Lenine and Adriana Calcanhotto, making the Italian artist the de-facto ambassador between two of the world’s richest musical cultures. 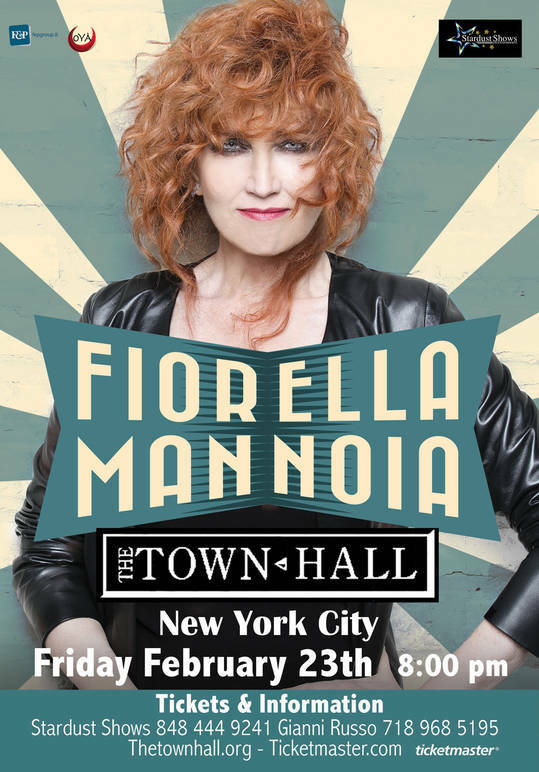 During the 2000’s Fiorella Mannoia became recognized as one of Italy’s leading live performers with award-winning tours in venues ranging from the country’s most historic theaters to sports arenas, and in formats from solo to with-orchestra and alongside artists such as Pino Daniele. All the while Mannoiaexpanding her repertoire with songs penned by Italy’s new generation writers including Jovanotti,Ligabue and Tiziano Ferro. Additionally, Fiorella Mannoia lent her voice to both benefit concerts following the tragic Abruzzo earthquake, including the the all-female San Siro line-up spearheaded byLaura Pausini and featuring Gianna Nannini, Elisa and Giorgia. Mannoia also appeared at the Italia Loves Emilia benefit concert in support of those effected by that region’s earthquake. Fiorella Mannoiaserves as spokesperson for the Axè project, a role which has included performances in both Rome and Salvador da Bahia to help at risk youth through the performing arts. She also took on the role of artistic director of Amiche in Arena, a concert to raise awareness on violence against women using the music ofLoredana Berté held at Verona’s Roman amphitheater. Fiorella Mannoia maintains an intrinsic connection to the Italian film world. As the daughter of a stuntman, a young Fiorella worked as a body double for actresses Monica Vitti and Candace Bergen as well as appeared in various 1970’s Spaghetti Westerns. Her voice can be heard in the soundtracks of films such as Nanni Moretti's Caro Diario and Paolo Genovese’s Perfetti Sconosciuti, the title song which was co-written by Mannoia and received the Nastro D’Argento as Best Original Song. FiorellaMannoia’s version of the classic Io che amo solo te was accompanied by a music video starring a cast of noted Italian actors such as Pierfrancesco Favino and Raoul Bova. Mannoia returned to her acting roots joining the all-female cast of 7 Minuti which was presented at the Rome Film Festival. Fiorella Mannoia’s recent projects range from a tribute to Lucio Dalla to appearances on the Italian version of X Factor. Her latest album 2016’s Combattente features compositions by old friends including Fossati and new collaborators such as Negramaro’s Giuliano Sangiorgi as well as songs penned byMannoia herself. In 2017 Fiorella Mannoia returned to the Sanremo Festival stage in competition for the fifth time. Fiorella Mannoia is a five time winner of Italy’s prestigious Tenco Prize and her recorded body of work counts some two dozen albums.